Bach and breakdance don't go well together? The four-time breakdance world champion Flying Steps and renowned opera director Christoph Hagel prove that breakdancing and classical music are the perfect match – with their fascinating musical performance, FLYING BACH. This one-of-a-kind, innovative adaptation of Johannes Sebastian Bach's "Well-Tempered Clavier" breaks down the barriers between high and urban culture. 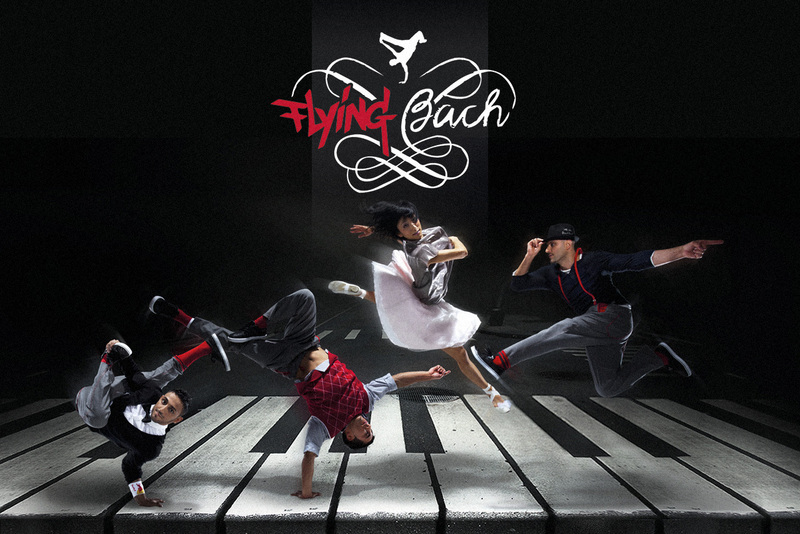 In 2010, with the sizzling premier of their feature length FLYING BACH show in Berlin's Neue Nationalgalerie the Flying Steps proved that breakdance is an excellent medium to interpret the music of Johann Sebastian Bach. The inspiration for the show came to Flying Steps founder and artistic director Vartan Bassil after a visit to a classical concert. "I liked the idea of replacing a ballerina doing pirouettes on tiptoes with a breakdancer doing head spins," he explains. At the time, many others thought this concept could never work. But that didn't stop Vartan from pursuing his goal. "My dream was to create a feature length breakdance show to classical music", he says. The idea to use Johann Sebastian Bach's „Well-Tempered Clavier" came from opera conductor Christoph Hagel, who works together with Bassil as an artistic director. Together they aspired to create a show that was more than breakdancing to a classical soundtrack. They wanted the dancers to embody the music and use it to convey a story to the audience. FLYING BACH is the first breakdance show to have won an ECHO Klassik special award, Germany´s most important award in the music industry. To this day, FLYING BACH has toured 35 countries – from USA to Kasachstan, from Australia over Japan to Finland – and fascinated more than 500.000 people. Note by note. Step by step. With piano, harpsichord and electronic beats. With head spins, power moves and freezes. And with a love story of its own. Founded by Vartan Bassil in Berlin in 1993, the Flying Steps were soon able to call themselves quadruple world champions.